This highly informative quick reference guide - updated through 2011 - provides essential information for Air Force active duty, Air Force Reserve, Air National Guard, emergency essential civilians and contract personnel. In September 1944, the Allies believed that Hitler’s army was beaten and expected the bloodshed to end by Christmas. Yet a series of mistakes and setbacks, including the Battle of the Bulge, drastically altered this timetable and led to eight more months of brutal fighting. 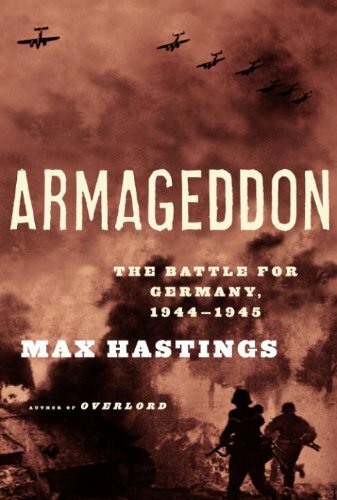 With Armageddon, the eminent military historian Max Hastings gives us memorable accounts of the great battles and captures their human impact on soldiers and civilians. He tells the story of both the Eastern and Western Fronts, raising provocative questions and offering vivid portraits of the great leaders. This rousing and revelatory chronicle brings to life the crucial final months of the twentieth century’s greatest global conflict.­From the Trade Paperback edition. In 1919, when the Great War was over, the New York Times reported on a new chemical weapon with "the fragrance of geranium blossoms,­" a poison gas that was "the climax of this countrys achievements in the lethal arts.­" The name of this substance was lewisite and this is its storythe story of an American weapon of mass destruction.­Discovered by accident by a graduate student and priest in a chemistry laboratory at the Catholic University of America in Washington, D.­C., lewisite was developed into a weapon by Winford Lewis, who became its namesake, working with a team led by James Conant, later president of Harvard and head of government oversight for the U.­S.­'s atomic bomb program, the Manhattan Project. After a powerful German counterattack in the spring of 1918, the government began frantic production of lewisite in hopes of delivering 3,­000 tons of the stuff to be ready for use in Europe the following year. The end of war came just as the first shipment was being prepared. It . . . Imagine a hot zone in which Ebola is being spliced—using the latest techniques of genetic engineering—with smallpox, the most infectious disease known to man. Now imagine that cocktail is meant for you.  For fifty years, while the world stood in terror of a nuclear war, Russian scientists hidden in heavily guarded secret cities refined and stockpiled a new kind of weapon of mass destruction—an invisible weapon that would strike in silence and could not be traced. It would leave hundreds of thousands dead in its wake and would continue to spread devastation long after its release. The scientists were bioweaponeers, working to perfect the tools of a biological Armageddon. They called it their Manhattan Project. It was the deadliest and darkest secret of the cold war. What you are about to read has never before been made public. Ken Alibek began his career as a doctor wanting to save lives and ended up running the Soviet biological weapons program—a secret military . . . Weapons of Mass Destruction Civil Support Team Management - This regulation instruction prescribes policies, procedures, and responsibilities governing the employment of National Guard Weapons of Mass Destruction - Civil Support Teams (WMD-­CSTs) in support of the National Guard homeland security, homeland defense, contingency operations, special events, incident of national significance. Professionally converted for accurate flowing-­text e-­book format reproduction, this Army Field Manual serves as the foundation for Weapons of Mass Destruction (WMD)-­Civil Support Team (CST) doctrine and focuses on the organization, mission, command and control (C2), and operations of the WMD-­CST. Focusing on East Asia, this book sets out a framework for analyzing infectious disease threats in security terms. It covers the security significance of naturally occurring disease outbreak events such as SARS and avian influenza, the development and use of biological weapons by state and non-­state actors, and the security risks associated with laboratory research on pathogenic micro-­organisms. Christian Enemark devises a conceptual framework for securitization that is useful for policy makers by using the overlaps and synergies between different infectious disease threats. The book draws heavily on material from public health and scientific literature to illustrate the cross-­disciplinary requirements for addressing infectious diseases challenges in security terms. Fast-­moving, naturally occurring disease threats are of increasing concern to governments and individuals, and it is therefore important to recognize their close relationship to the security challenges posed by . . .
A Main Selection of the Military Book Club and a Featured Alternate of the History Book Club In the last days of World War II, a new and baffling weapon terrorized the United States Navy in the Pacific. To the sailors who learned to fear them, the body-­crashing warriors of Japan were known as "suiciders"; among the Japanese, they were named for a divine wind that once saved the home islands from invasion: kamikaze. Told from the perspective of the men who endured this horrifying tactic, At War with the Wind is the first book to recount in nail-­biting detail what it was like to experience an attack by Japanese kamikazes. David Sears, acclaimed author of The Last Epic Naval Battle, draws on personal interviews and unprecedented research to create a narrative of war that is stunning in its vivid re-­creations. Born of desperation in the face of overwhelming material superiority, suicide attacks--­by aircraft, submarines, small boats, and even manned rocket-­boosted gliders--­were . . .